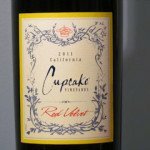 Detailed California Wine Club review with Pros, Cons and Pictures from a paying customer. Includes link to current discounts. I personally paid to become a member of the California Wine Club so that I could give you this detailed California Wine Club review from the perspective of an actual customer. Be sure to check out my UPDATE near the bottom of this review. It has more detail on the wines I’ve received, after having been in the club for awhile. 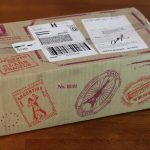 As an affiliate of the California Wine Club, I wanted to make sure my review includes a full description of the ordering process and pictures of everything I received. Please note, some links on this page are affiliate links. This means if you purchase a product through an affiliate link, I will receive a commission at no additional cost to you. The California Wine Club offers five club levels including Premier, Signature, International, Aged Cabernet and Pacific Northwest. Each has it’s own price level. The most popular club is the Premier Series with deliveries that start at $39.95 and shipping of $13.00. The club is a Wine of the Month Club. You pay as you go and get two wines each month from small artisan wineries. You can choose two reds, two whites, or one of each. They ship to all U.S. states, including Hawaii and Alaska. 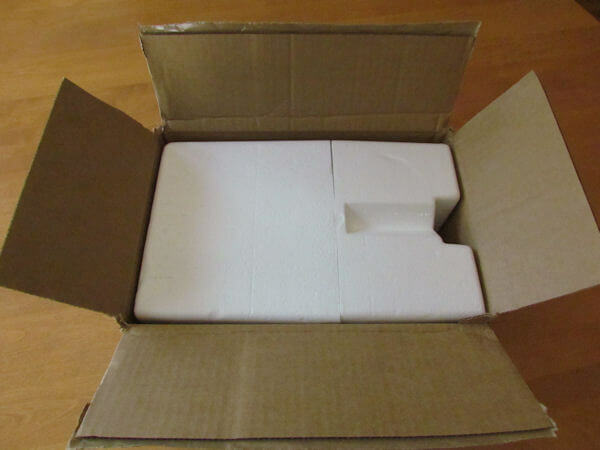 Shipping takes about 7-10 business days. They are located in Ventura, California and have been in business since 1990. 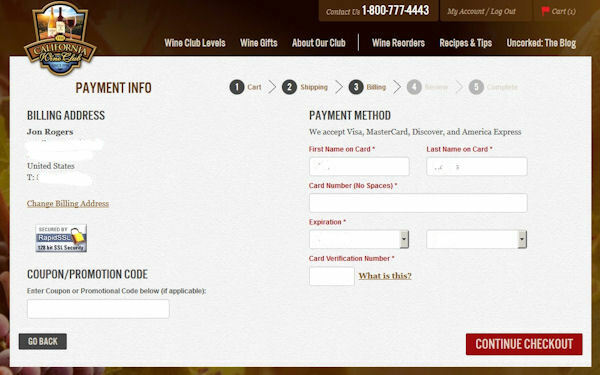 You can also choose to receive your wines quarterly or every other month. 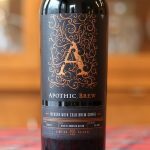 Unique and high quality wines from Artisan Wineries in California wine country. 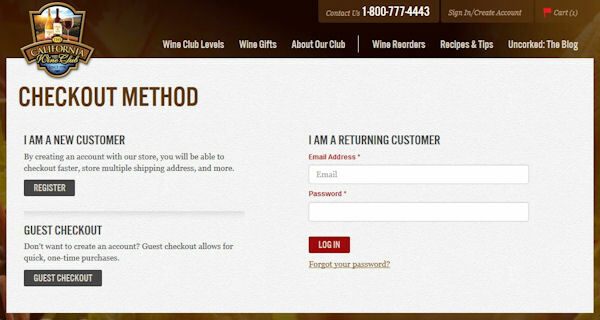 This means you’ll receive wines you probably won’t find in stores. And, you’ll be able to share hard to find wines with friends and family that they probably haven’t tried before. 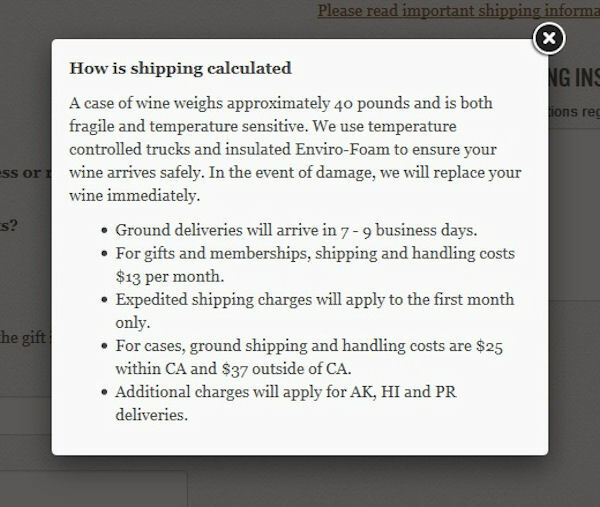 They use Temperature Controlled Trucks (see shipping info picture below) to ship your wine. There’s no obligation and you can cancel at any time. Great if you decide The California Wine Club is not for you or finances get tight. If finances get tight and you want to reduce the amount of shipments, you can call and they’ll change your delivery frequency. I called and checked on this, myself. No cancellation fees to leave. 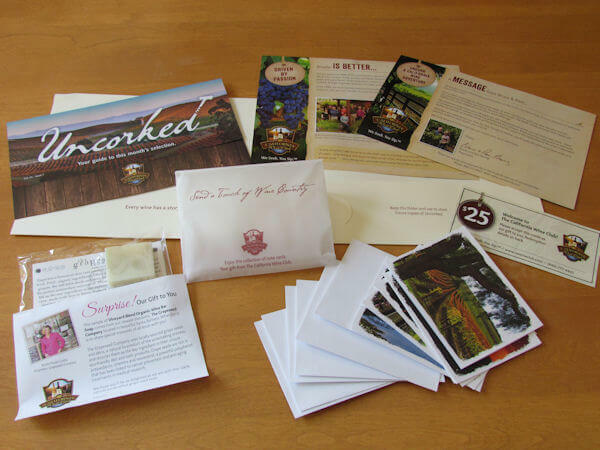 A Wine Guide is sent with each shipment explaining the wines you received. A “Personal Wine Consultant” is available to help with choices and questions. Because wine is an alcoholic beverage, someone age 21 or over has to be home to receive delivery. I chose the Premier Series. After making that choice on the initial screen I was given the option to choose the type of wine I wanted (Red, White or One of Each) and how often I wanted to receive delivery (Monthly, Every Other Month, or Quarterly). 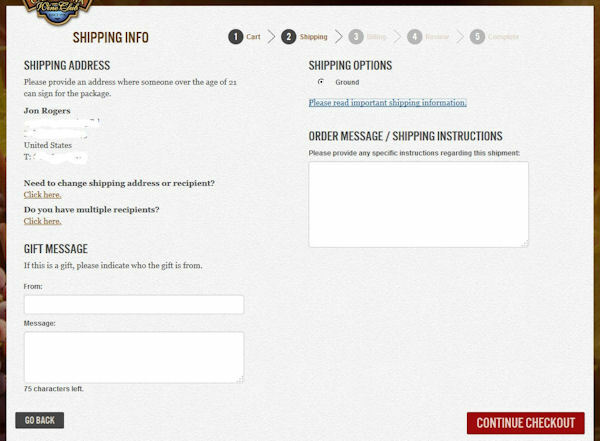 After clicking on Checkout, I was brought to the Checkout Method screen where I Created an Account and Chose Shipping (I picked Ground). 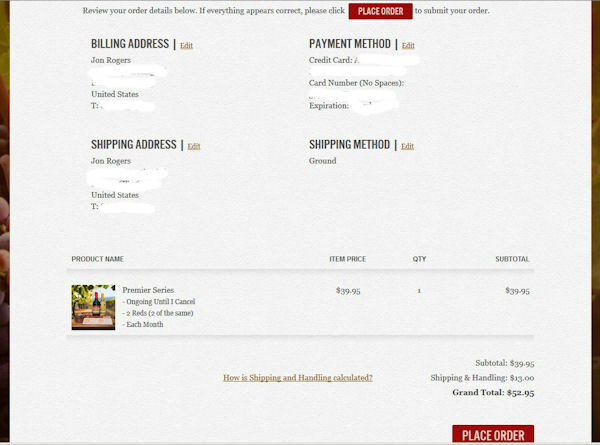 Shortly after completing my order, I received a Welcome email and an Order Confirmation email. 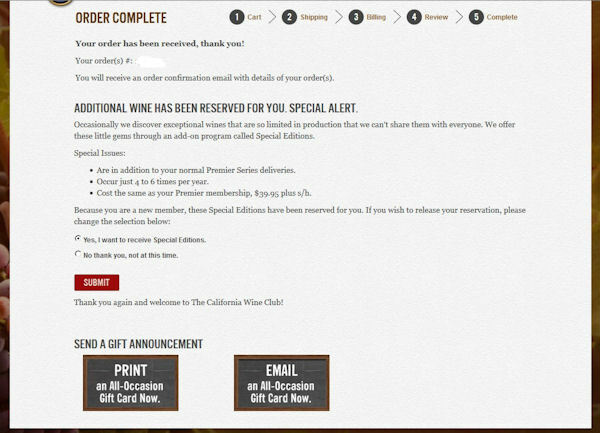 In the order confirmation email I received the name of my “Personal Wine Consultant” and also that my order would arrive in 7-10 business days. Exactly seven days later my package arrived! 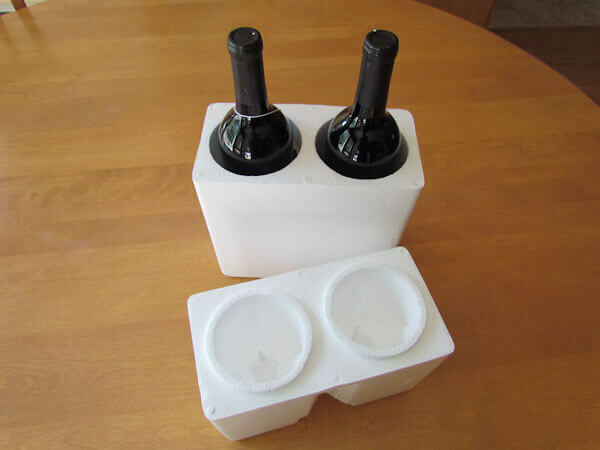 Everything in the box was in perfect shape and the two wines were at a normal temperature. 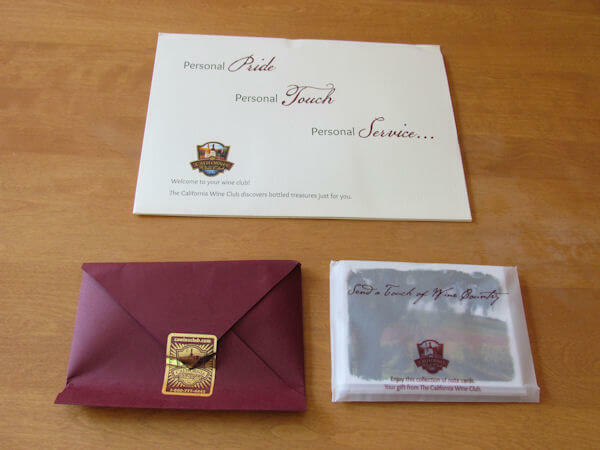 There were also coupons for discounts, a brochure on the wines and more information about the club. 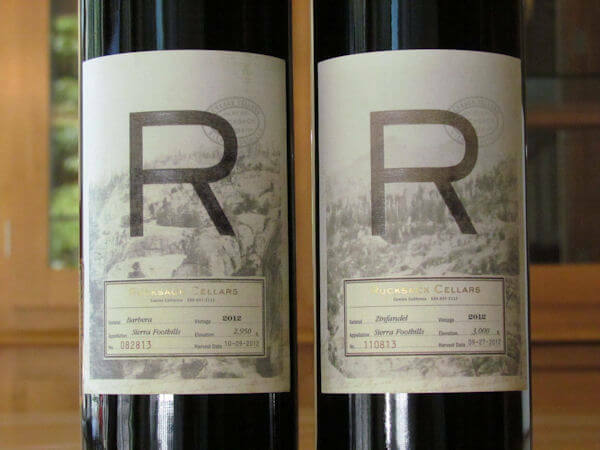 And finally, here’s the two wines I received from Rucksack Cellars. One is a Zinfandel and the other is a Barbera. Both were 2012 vintage and were very enjoyable. My favorite thing about The California Wine Club is the low price of entry. Many other clubs require a much bigger investment up front and with each delivery. 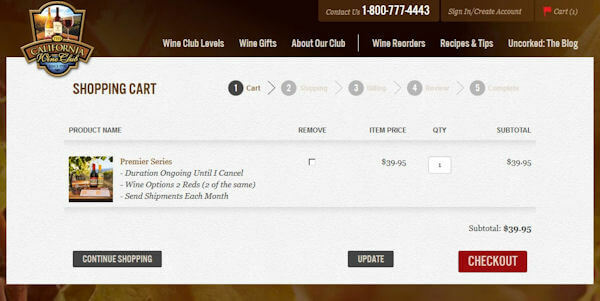 Also, the flexibility The California Wine Club offers (monthly, every other month, or quarterly deliveries) is great. 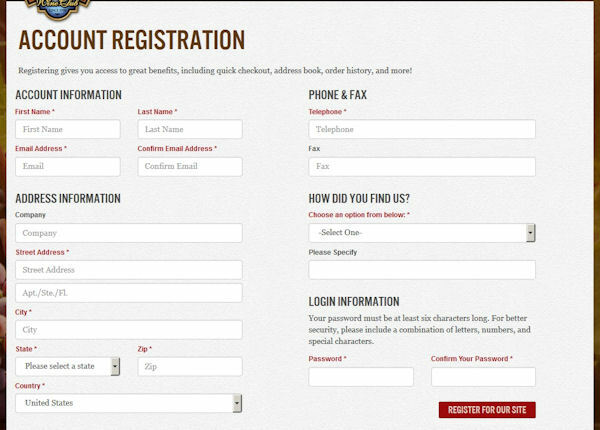 They also allow you the option to receive three and four bottle shipments. And, they’ll even cover the extra shipping cost for them! So, overall I’m impressed with this club and feel I can safely recommend it to others. I hope you’ve found my California Wine Club review helpful. If you have any questions about my experience, send me a message and I’ll try my best to answer. 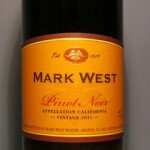 CALIFORNIA WINE CLUB REVIEW UPDATE: Now that I’ve received several deliveries from the club, I thought I’d share some info on the wines that I received. All the wines have been great and very unique. Enjoyable flavors too. Here’s three that I especially liked! 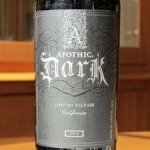 This red wine blend had aromas of black fruits and tobacco. Flavors of cherry and dark chocolate. A nice long finish that got better and better after breathing. The blend is 42% Syrah, 26% Merlot, 17% Grenache, 5% Petit Syrah, 4% Mourvedre, 3% Counoise, 3% Sangiovese. Fess Parker was the actor known for playing Davy Crockett and Daniel Boone. 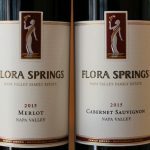 From Mendocino, the Central Coast and the Salinas Valley, this wine won a Bronze Medal at the Houston Wine Competition. Look for aromas of blackberry and cranberry and flavors of red fruits and spice. This wine is actually a blend of Pinot Noir and 1% Syrah to give it a bit of color. They recommend pairing this with steak, duck, hamburgers and pizza. I agree! 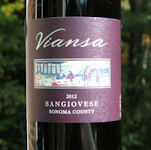 From Sonoma County, this Sangiovese is aged in 13% new oak barrels. On the nose, this wine gives forth aromas of raspberry and bright cherry. On the palate, flavors include vanilla and pepper with a long finish. This one is also a blend, with 75% Sangiovese and 25% Primitivo. And, this wine can be cellared for up to eight years. Enjoy with a big plate of spaghetti and tomato sauce. 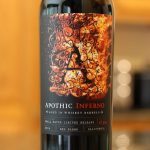 If you’re looking for great tasting, hand picked wines from California that come from small Artisan Wineries, give The California Wine Club a try.